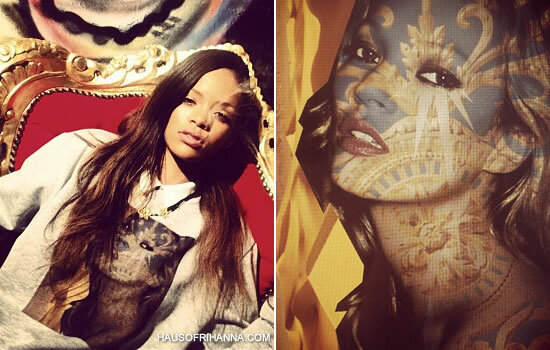 Rihanna instagrammed a pic of her wearing a grey sweatshirt featuring a digital print of Kate Moss. The shirt was designed by Kylie Lazo of TheFaced. Visit her website to check out her work and snag an iPhone case with the same Kate Moss pic. Later Rih was spotted at Soho House in the sweatshirt along with her favourite vintage Levi’s cutoff shorts and Air Jordan Retro IV Cavs sneakers.